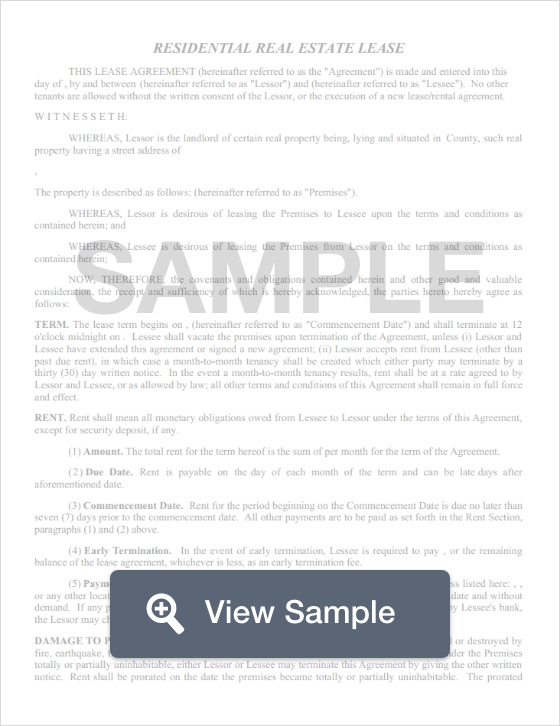 Create a New Hampshire Lease Agreement with our attorney-drafted template! What Is a New Hampshire Lease Agreement? A New Hampshire lease agreement is a written agreement between a landlord and a tenant. It specifies which property is being leased and how it may be used. It also outlines the duties of both the landlord and the tenant. The most commonly used New Hampshire lease agreements include a standard (yearly) residential lease, a month-to-month lease, a lease to own agreement, a roommate agreement, a subleasing agreement, and a commercial lease agreement. Generally, a standard New Hampshire lease agreement is good for 12 months. Since it’s the most commonly used residential lease, we’re going to look at the information you need to write your own. New Hampshire Legal Aid provides excellent information that tenants should know. Identify the parties. Include the full legal name of both the landlord and the tenant. The date the standard New Hampshire lease agreement was created. Offer to rent. The "offer to rent" should include the address, city, state, and zip code of the leased premises. It should also include how long the lease is good for as well as the date the lease begins and the date that the lease ends. Rent. You should create a section that explains the amount of rent that must be paid each month. You should also include how the rent should be paid and where the rent payment may be made. Prorated rent. If any rent was prepaid so that the tenant could move into the property early, the amount should be documented as well as the date the tenant moved into the property. Deposits. This section should explain the amount the tenant paid as a security deposit. This section must also specify how long the tenant will wait after the end of the lease to receive their deposit back. If you’re going to allow pets, you should also list the amount of the pet deposit. Possession. This section explains how and when the tenant will take possession of the property. Assignment, subletting, and abandonment. You should explain whether subleasing the premises is allowed and what is considered abandonment of the property. Utilities and services. List which utilities and services the landlord will pay and which ones the tenant will pay. This may also include lawncare. Maintenance and alterations. Include information on how the tenant may request repairs or alterations. Pets. Whether pets are allowed and if there are any restrictions. Compliance with the law. 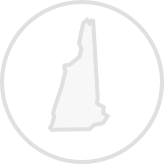 You should ensure that all the provisions in your standard New Hampshire lease agreement complies with state law. Whether the unit is furnished. This could include traditional furniture or just appliances. An indemnification clause. This clause protects you from being used or covering losses that the tenant should have obtained renter’s insurance to cover. Occupants. The number of occupants allowed to reside on the premises. Move in checklist. You’ll learn more about this in disclosures. Notices. Provide a section that furnishes the addresses for both the landlord and the tenant where they may receive legal notices. Remember that the document must be dated and signed by the named parties for it to be legal. What Disclosures Must Be Made in a New Hampshire Lease Agreement? Under state law, New Hampshire lease agreements must provide certain disclosures. That includes a move-in checklist and a receipt for the security deposit. The purpose of the move-in checklist is so that the tenant can verify the condition of the property and request repairs within 5 days of moving in. The security deposit receipt must state the amount of money the tenant gave as a security deposit and the name of the bank where the security deposit will be held. The landlord must provide reasonable notice to tenants before entering the property for non-emergency reasons. The landlord may not request more than one month of rent for a security deposit. The security deposit must be returned to the tenant within 30 days unless the tenant and the landlord shared the property. If they shared it, the security deposit must be returned within 20 days. Create a free New Hampshire Lease Agreement in minutes with our professional document builder.